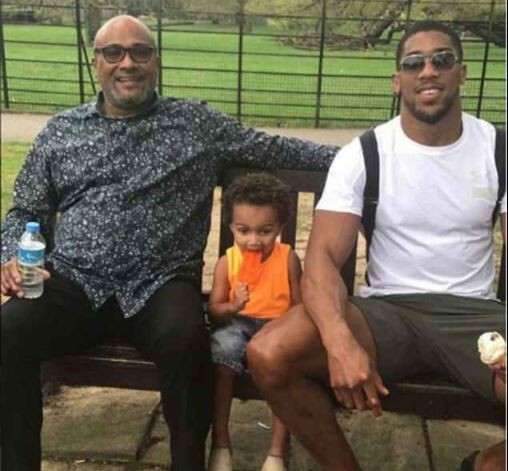 World famous boxer, Anthony Joshua has shared a photo showing him and his son posing with his father. 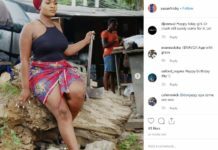 British-Nigerian boxer, Anthony Joshua, has shared a rare photo on Instagram and his fans are going wild over it. 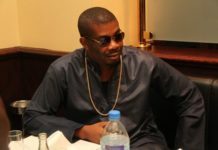 The boxer shared a photo of himself with his son posing with his father as the three of them strike a pose for the camera. Joshua’s little boy is sandwiched between him and his father while the two older men stare directly at the camera with beaming smiles on their faces. Joshua is not known to be in the habit of posting family snaps on social media, so fans are excited about this new photo he shared.